Well folks, this is it...the last day of 2014! What a great year it has been! So many things accomplished that had been on my to do list for so long. All in all, this was a fantastic year. I am confident that 2015 will be every bit as wonderful as 2014 was and perhaps even better. 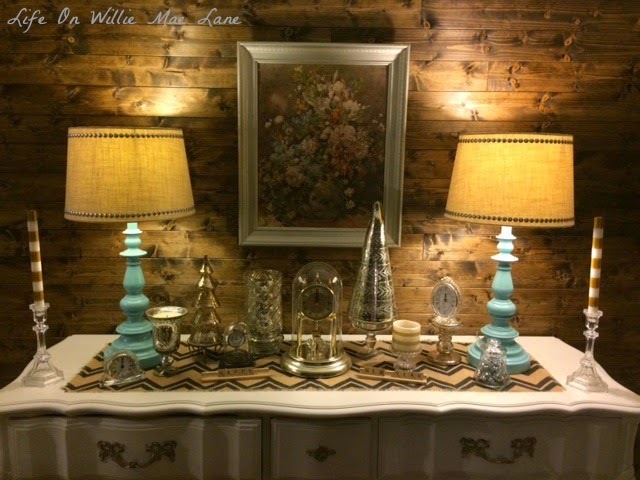 A few days before Christmas, I decided that I would create a vignette for the New Year after the Christmas decor came down. I like to decorate my buffet seasonally, so I gathered several clocks and lots of silver and gold and created a vignette with lots of sparkle to ring in 2015. This pocket watch is always on display on my bookshelf. It belonged to my hubby's late grandpa. I set all the clocks to 12, except for this one. I left it as is, which happens to be almost 12 o'clock! This new mercury glass candle holder was a day after Christmas deal at TJ Maxx. I think I gave $3.50 for it. It will be used often! 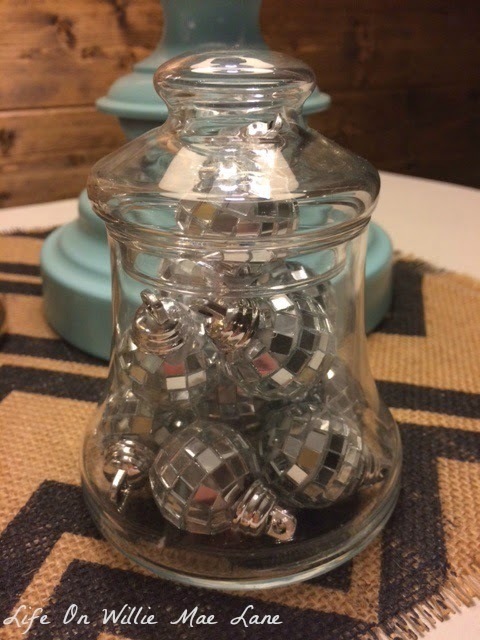 This sweet bell shaped apothecary jar was perfect to "ring" in the new year! It's filled with tiny mirror ball ornaments...another day after Christmas buy from Big Lots for a couple dollars. I have lots more! 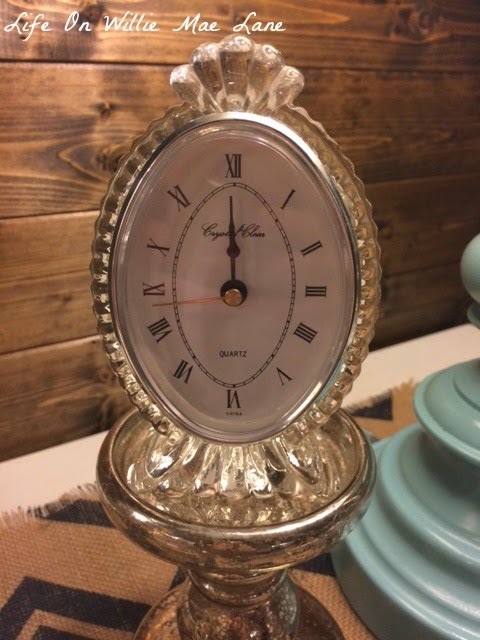 A small crystal clock sits on a pedestal candle holder that was free at Bath & Body works with a purchase a couple years ago. My anniversary clock is set to 12 o'clock as well. I have had this for years...a gift from my mother in law. The large silver mercury glass tree was an after Christmas purchase from TJ Maxx for $7.50. I was happy they had some left! The gold mercury glass tree was a Michael's after Christmas deal. It was also $7.50. It lights up but I didn't have batteries for it. I like it just as it is though. The large mercury glass hurricane was a Michael's after Christmas clearance from last year. My Scrabble tiles spell out Happy New Year. A few other items complete the vignette. Everything here was either thrifted, gifted, or bought on clearance. I love the warm glow the lamp shades give against my plank wall. The centerpiece includes a crystal bowl turned upside down as the base. A mirrored vanity tray from my craft room desk sits on top of the bowl. A crystal shaded candle lamp from my bedroom sits on the tray, surrounded by mirror, glitter, and sequined spheres. The place settings start with gold chargers, my white china, black salad plates, and small crystal bowls which hold the napkins. The tablecloth was a thrifty find from earlier this year. This photo shows the metallic silver and gold threads woven throughout. Perfect for a celebration to ring in the new year. No big plans here though and I usually fall asleep before midnight...lol! I'm quite the party animal! Not bad considering it cost nothing but time to create it. 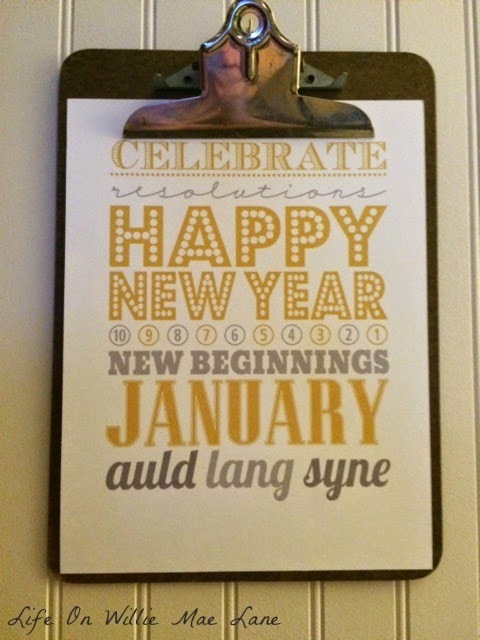 I decided to leave the bell garland up for New Year's. What is more perfect than bells! I have heard of ringing in the New Year many times. I printed the clock and words on the other garland and clipped them on to add some festivity to the opening between the dining and living rooms. The clipboard on the gallery wall got some new artwork for the New Year as well. I love looking for new printables for this clipboard every few weeks. I hope you enjoy the last day of 2014. 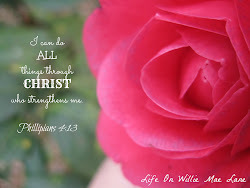 I have been reflecting on the past year and am looking ahead to the new one. May you and your loved ones have a lovely end to the year. Happy New Year Vicky! Everything looks so beautiful the way you decorated everything! We usually go to church and then out to dinner and then celebrate at home. Wishing you all the best. You are so far ahead of me. I am hosting tonight and all I have done is the mantel. Happy New Year to you, dear Vicky! You have blessed my life in more ways than one - looking forward to another year with you. Hugs! Your decorations are beautiful and elegant Vicky. I love the way you mix vintage items with new ones and everything looks so perfect together. I love this vignette! You have carried off the clock idea beautifully...if I did it, it would look tacky. Gorgeous sparkle and shine! Very festive, Vicky - love the collection of clocks. The bells are perfect for ringing in the New Year. Love your festive New Year decorations! Wishing you a Joyous Day! It all looks lovely Vicky! And don't feel bad... I'll probably be asleep by 9! lol! I'm looking forward to 2015! I am loving all the shiny!!! Very pretty Vicky. Hope you and your family have a wonderful 2015! Cheers. Christmas Bells With Some Bling!